Ultrasound is an effective way of diagnosing pathologies and enhancing patient outcomes; however, training in ultrasound holds multiple barriers. Given the growth of the global simulation industry, the opportunities to complement clinical training are increasingly becoming crucial to a medical education curriculum. 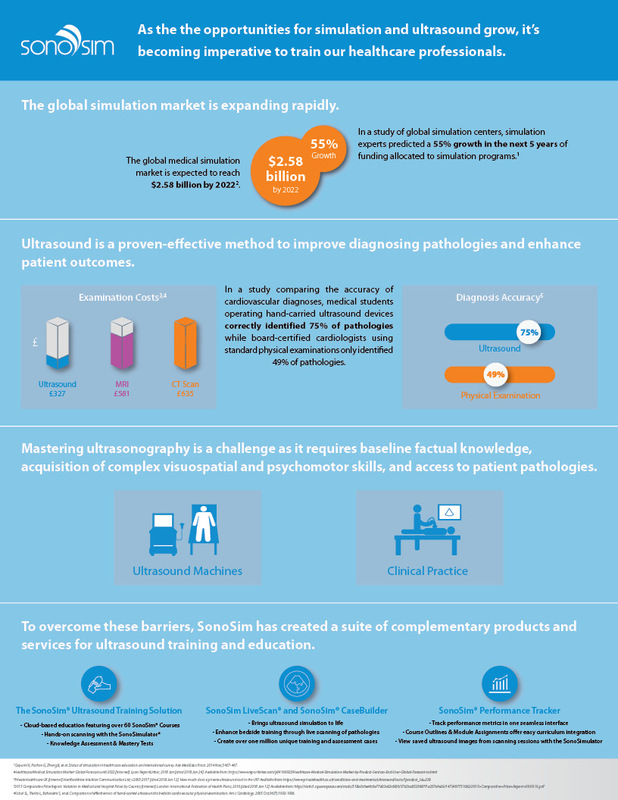 The SonoSim® Ultrasound Training Solution provides anytime-anywhere access to online course content, hands-on training, pathologic cases, and virtual mentoring.